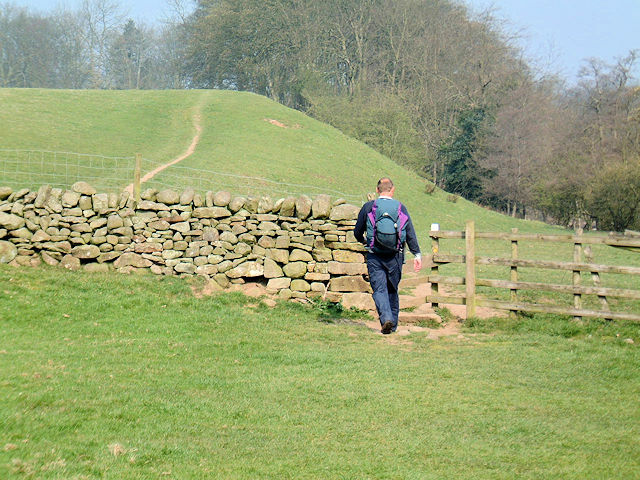 A personal record of my walk of the Dales Way with written journal and photographs. Tracklogs for GPS units and for use with Google Earth are available for download for each stage. 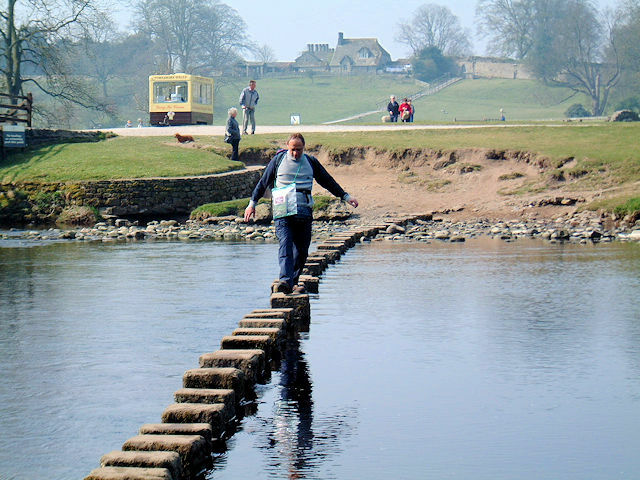 The Dales Way runs from Ilkley in West Yorkshire to the shores of Lake Windermere in Cumbria. 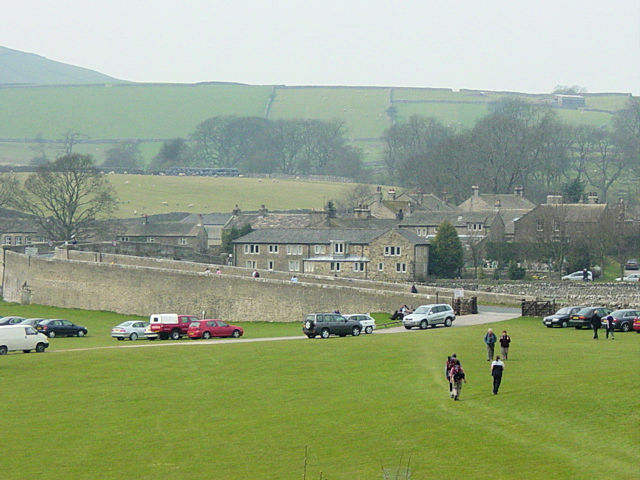 The majority of the walk passes through the Yorkshire Dales National Park, over moors, across limestone pavements, through valleys and alongside rivers. It gives a unique taste of this famous park to the walker. 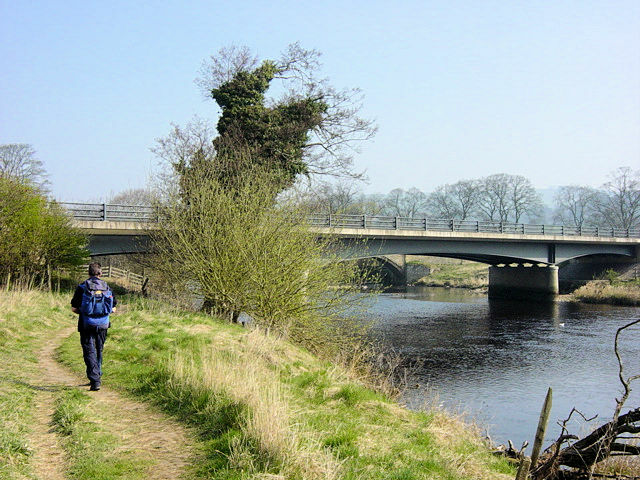 The walk leaves the Yorkshire Dales for the finale as it crosses into Cumbria, fringing the Howgill Fells before culminating in the Lake District National Park on the banks of Lake Windermere. 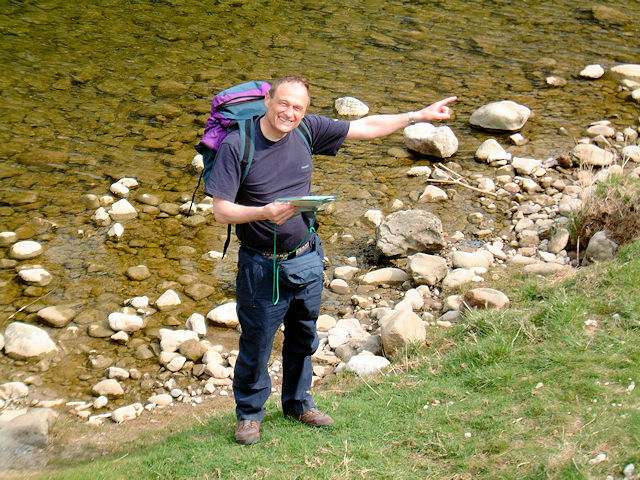 This long distance walk is particular memorable and the total length of just over 76 miles is the perfect introduction for newcomers to long distance walking. After a night out with friends in Otley I woke up excited at the prospect of the walk. An extra spur was the enjoyable conversation I would get for the majority of the walk in the company of my good friend Steve. 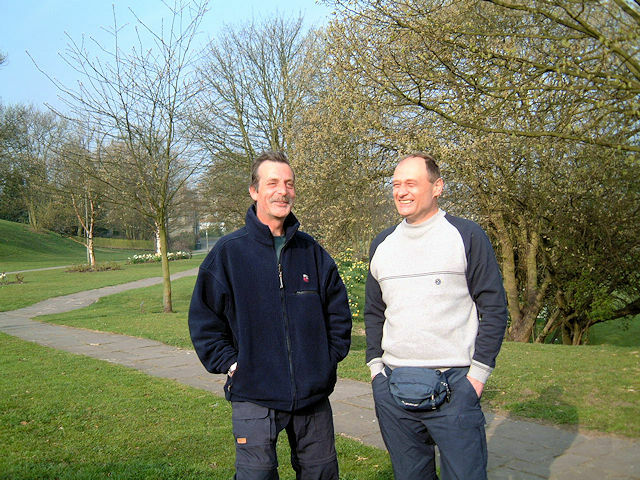 It was Steve that introduced me to walking in the first place and he, along with my brother Dave, is a regular walking companion, particularly on long distance paths. I am lucky to have these two walking companions and it was a shame Dave could not make it this time. At least Dave and my soon to be wife Lil were with us at Ilkley Old Bridge to see us off. The customary start picture was taken and then we were off towards our first staging post, 16 miles on in Grassington. 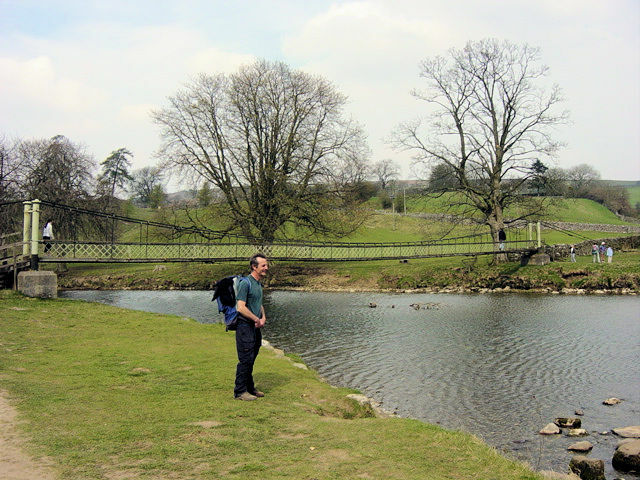 This first stage is spent exclusively in the company of the River Wharfe as we follow it upstream. 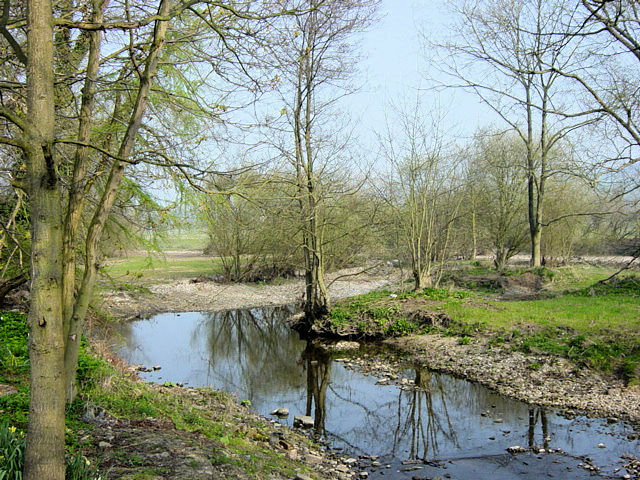 We will follow this beautiful river all the way to its source at Oughtershaw. 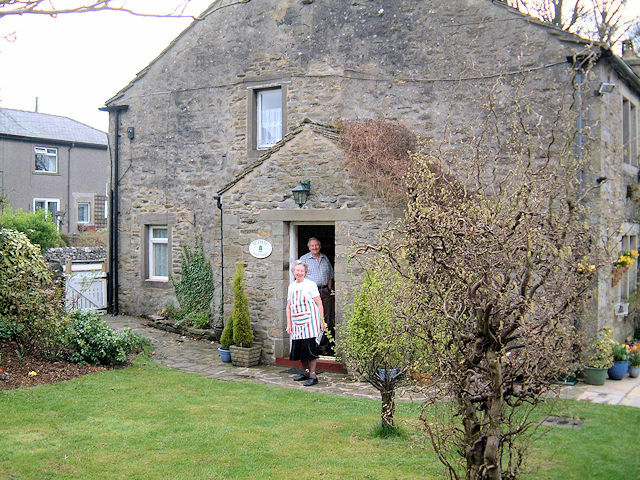 The Dales Way is full of interest from the start and as soon as we left Ilkley the views from the riverbank were inspiring as we made our way along the banks of the river towards High Mill, an old woolen mill built in 1780 and then quaint village of Addingham. Look to the right and view famous Ilkley Moor. As you leave it behind the rolling hills around the Skipton area come into view to your left and the hills of Beamsley and Hazelwood with Storiths close on your right. 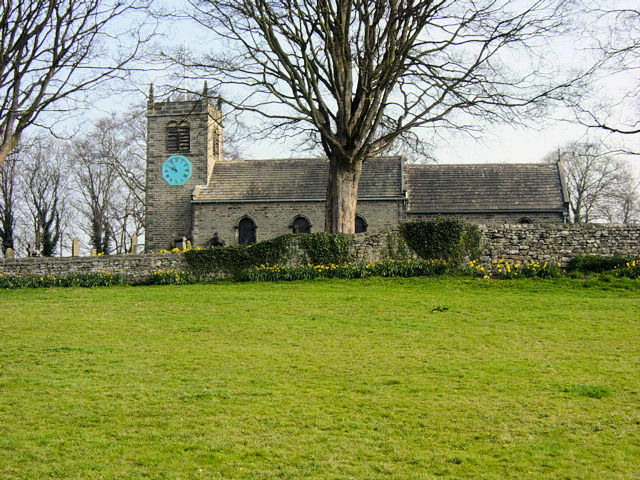 After Addingham there is a meeting with history and Augustinian monks to anticipate. 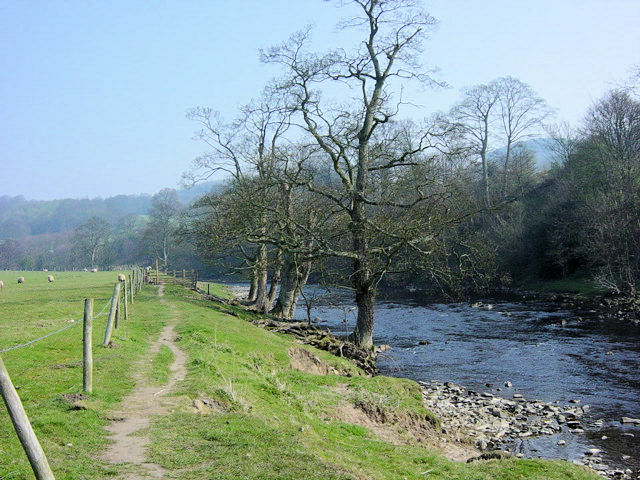 The village of Bolton Abbey is a confusing name for it makes visitors assume it is home to an Abbey. This is misleading for it was home to a priory built by Augustinian Monks in the 12th century. 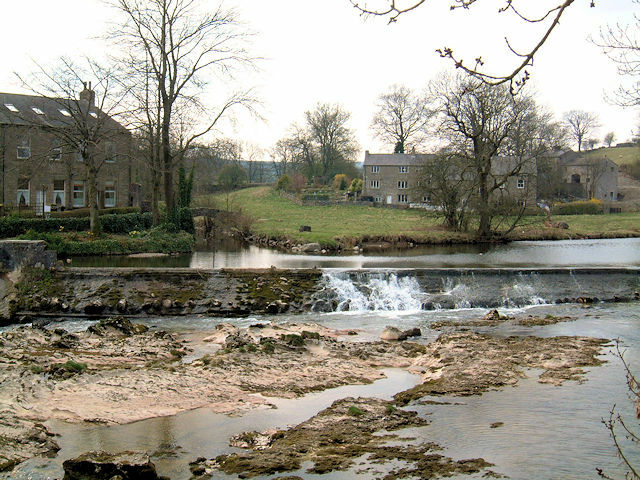 Take time to view the magnificent building and then move on continuing to follow the river towards Strid Wood. If you are walking this section in summer and particularly at the weekend you will find yourself surrounded by families and occasional walkers. 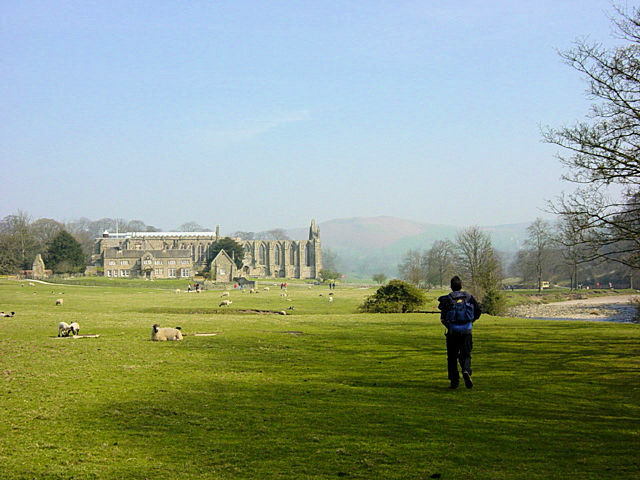 The natural surroundings of Bolton Priory is a very popular outdoors location for the people of industrial West Yorkshire and it gets extremely busy. One advantage of this is you can enjoy a lovely pot of tea at the cafe at the entrance to the wood if you feel so inclined. We did! The wood is full of nature trails and is dominated by sessile oak trees. There are also holly and sycamore to be found, as well as lots of wonderful small plants and flowers, particularly bluebells in the springtime. Despite these distractions as you climb over rocky outcrops on the well defined paths you will find your eyes are drawn downwards to the waters of the Wharfe make their way through the gorge. 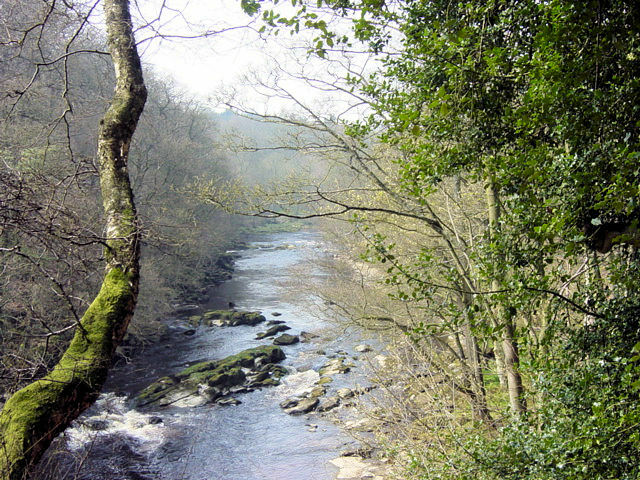 The river is a dramatic sight in the Strid as it narrows and forces itself over huge boulders. Several fast flowing sections and waterfalls are to be seen as the river narrows even more and in some sections to the extent that people feel they can leap over the span. It is not recommended and there have been fatalities in this area, notably a just married couple not too long ago. Eventually the Strid is left behind but despair not, there are more sights ahead. Once you emerge out of the relative darkness of Strid Wood the eyes are drawn forward along the line of the river to a grand old stone footbridge. 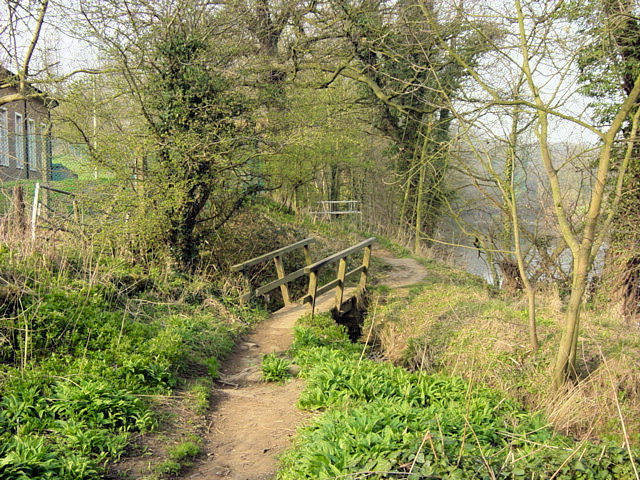 As there are no roads or track-ways leading to and from the bridge the immediate thought is that the bridge serves no purpose other than allowing walkers to cross to the far bank of the river and walk back along the Strid on the other side. Indeed for us there was no need to cross so what was the bridge originally built for? A gentleman called Don Langley contacted me about the bridge and he told me that the bridge was built by Bradford Waterworks as a viaduct, not just a footbridge. Thanks for the information Don. 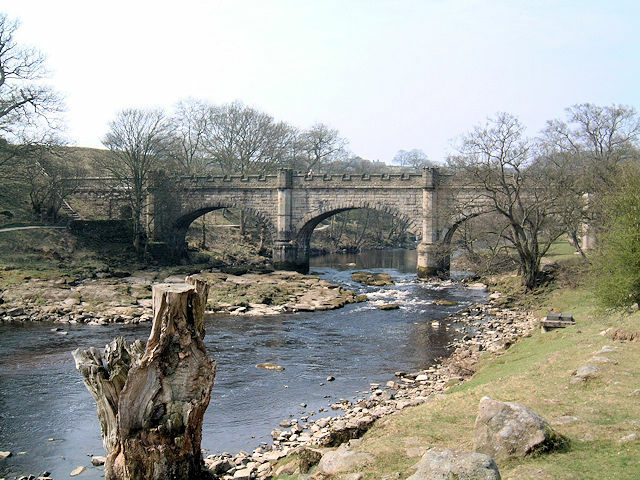 We had walked through the Strid on the eastern bank, an option on the Dales Way and continued to do so, now an obligation for the next half mile to Barden Bridge. As you approach the bridge a ruined building can be seen standing above the far bank. The ruin is the remains of Barden Tower. The tower was originally built in the 11th century and restored in 1657. The buildings have served local gentry as a small castle complete with chapel but are now abandoned. The structure is well worth a visit if you feel like a short stiff walk up the road from the bridge. For us, as we had seen it many times before it was time for a different diversion. Steve and I thought it was the appropriate moment for an ice cream so we stopped and sat by the bridge to enjoy a rare treat. 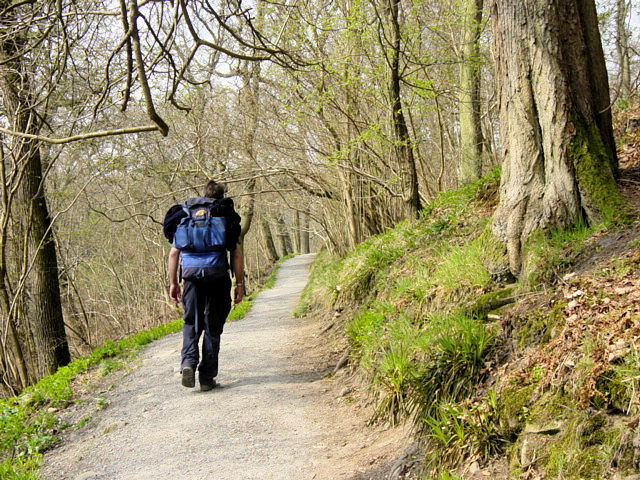 After sufficient time to enjoy our confectionery we set off to continue our Dales Way journey. 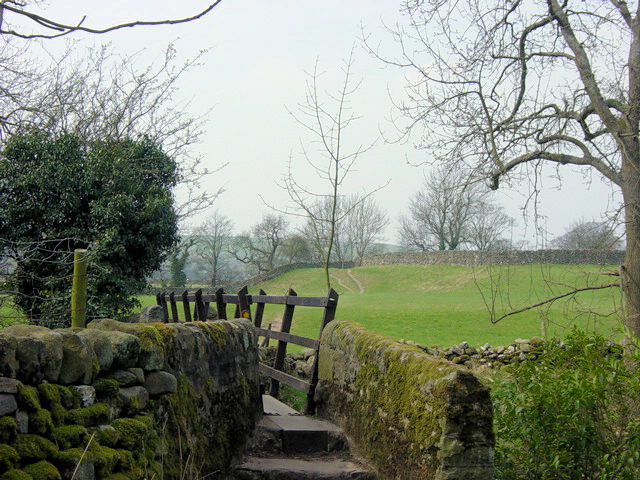 The immediate stretch after Barden Bridge is less claustrophobic than what had preceded as the hills give way to a wide valley floor. Consequently the river is much quieter here as it flows gently resting itself before its fight with the rocks in the Strid. Or perhaps it is recovering from a previous encounter with the geology of this area for we were approaching another angry section of the Wharfe. "That is the direction we came from"
After the wide and quiet section we leave the river and follow a track that leads to a metalled road and bridge over Fir Beck. From here we followed signs to Appletreewick. After crossing a small field we are back at riverside where we encounter the next angry section, a small rocky gorge which causes the river to rush for a short while. 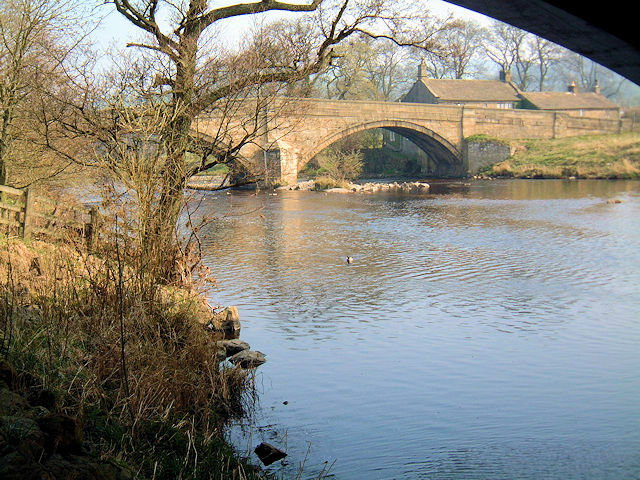 Soon after the river calms again as we pass, at a distance, the village of Appletreewick and walk to Burnsall. This village is another busy little tourist hive, very pretty, but we have seen it many times before so make haste through the village and its visitors to start our final section of the day to Grassington. 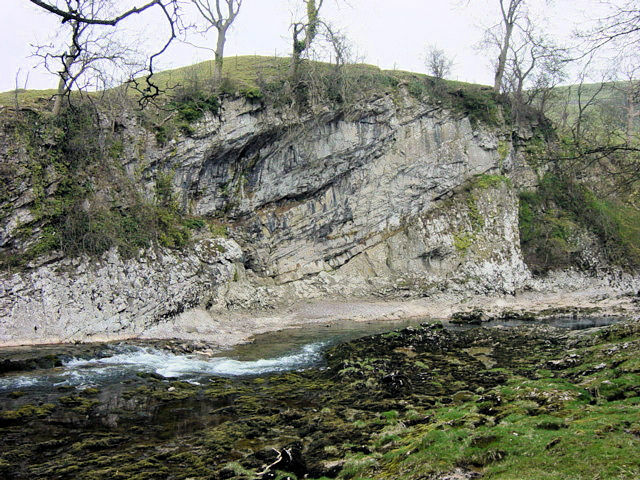 This final section of the walk features one distinctive change in the geology of the Dales Way. Just after Burnsall there are two scars at riverside. These, Wilfred Scar and Loup Scar are not of the dark gritstone type seen in the gorges downstream. These rocky outcrops are limestone white a feature we will be seeing a lot of until we cross over the watersheds. Soon after the limestone cliffs beside the Wharfe we crossed the lovely suspension footbridge near Hebden and walked along the bank for a further half hour into Grassington via Linton Falls. This section was very enjoyable and though we had been walking for over six hours we enjoyed every step as much as the first ones we took on leaving Ilkley. The scenery deserved that. The first day was done soon after the thrill of standing and watching Linton Falls. The stage was not an extreme walking test for experienced long distance walkers, but a thoroughly enjoyable day of walking. The walking took us just under seven hours without ever rushing. It was a perfect first day and after resting at our splendid accommodation we went out and enjoyed a meal and a few beers in the village as reward.